– We have not encountered any other European facility that can offer these independent test runs. We offer test drives of engines, generators and other related equipment of all brands, explains CCO of VMS Group, Kim Rasmussen. 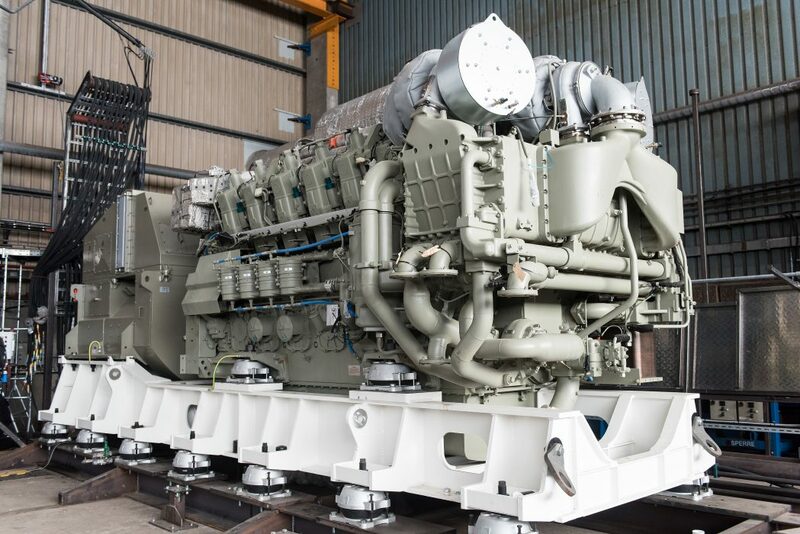 In addition to the actual sale of the engine, VMS Group is providing assembly of the gensets according to the customers’ wishes, including the design of the foundation frames, technical calculations of vibrations and noise levels and the on-board installation and commissioning of the final gensets on board. The new test facilities ensure that VMS Group can run finished tests on the assembled gensets before they are shipped from Frederikshavn to be mounted in vessels worldwide. The first gensets of VMS Group’s own design have already been tested in the facilities. Shortly they will be shipped from Frederikshavn to the Norwegian shipyard Ulstein Verft to be mounted in a newbuilding for the American cruise line Lindblad Expeditions.